the J list: A man's gotta do what a man's gotta do! A man's gotta do what a man's gotta do! So many of you avid readers may know Jill and I are avid NPH fans. 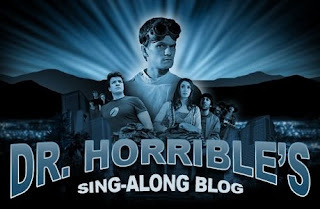 But what you may not know is we are also fans of his 45 minute musical Dr. Horrible's Sing Along Blog. I really don't want to ruin the amazingness of it, so all I will say is it starts Neil Patrick Harris, Nathan Fillion (Firefly)and Felicia Day. It is a romantic tale of a villain in love with an activist in love with a super hero. 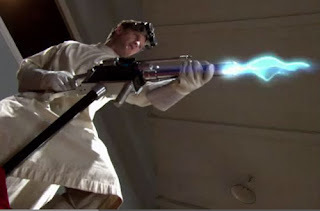 The hero, Captain Hammer, played by Nathan Fillion, is Dr. Horrible (Partick Harris)'s arch nemesis. 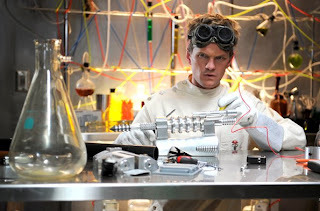 Once he finds out Dr. Horrible, a.k.a Billy, is in love with Penny (Day) he does what he can to keep them apart, sending Dr. Horrible into a spiral of real evil. This may sound a little cheezey, but it isn't. The singing is amazing and the songs will get stuck in your head for days. 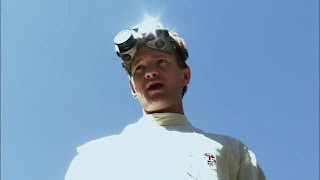 NPH is an amazing singer and as usual his acting never falters. I would suggest this movie o anyone who like epicness, musicals, comedies, romance, suspense or Neil Patrick Harris. I love, love, love, love freaking LOVE THIS. The J List is a blog written and maintained by 3 Journalism students, Jaclyn, Jenn and Jillianne. To learn more about the 3 of us, click here. We write. We'll be doing movie reviews, talking about bands we've seen recently, sharing our music tastes, talking celebrity gossip and whatever comes to mind. Got a question, suggestion or comment? Email us! Subscribe To THE J LIST!